Psychic Sylvia Browne said Amanda Berry was dead. Why do police consult psychics? Do psychics ever solve crimes? Why do police consult them? 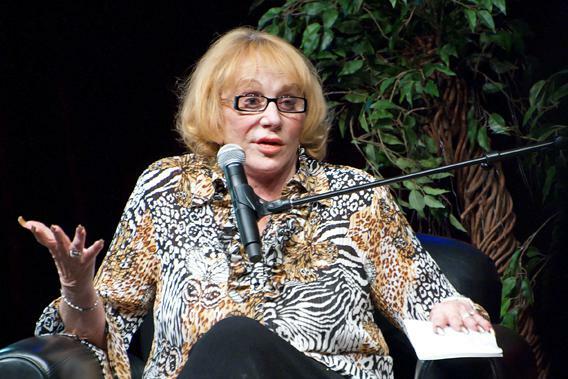 In 2004, psychic Sylvia Browne went on national television and told Amanda Berry’s mother that her daughter was dead. Now that Berry has turned up alive after 10 years in captivity, Browne is facing calls to stop offering her services to victims’ families and detectives. Are psychics ever actually useful in missing persons investigations? No. Academics have repeatedly tested the abilities of psychics to provide any useful information in a crime investigation, and the results are damning. A British study published in 1996, for example, pitted self-proclaimed psychics against undergraduate psychology students. Each participant was handed an item that was involved in a solved crime, such as a scarf or a shoe, and the subjects simply uttered whatever notions popped into their minds. They were also given a list of statements about the crimes, only some of which were true. The psychics were no better than the students at making predictions, and neither group performed better than chance. Those results have been replicated in dozens of studies. There’s one finding that comes up in nearly all of the studies: Psychics make lots of predictions, far more predictions than the control groups. That’s no coincidence. After the facts of the test cases are revealed, the psychics typically ignore their inaccurate predictions and emphasize their more relevant guesses. The more predictions you make, the more likely you are to get a random hit. But, taken as a whole, psychics’ visions are true just as often as anyone else’s. While not especially good at making predictions, psychics are typically quite skilled at self-promotion. At the conclusion of the 1996 study in England, the psychics gave themselves high marks, even though they fared no better than the students, who admitted their performance was poor. Weeks later, one of the psychics told a television interviewer that the researchers were stunned by his psychic powers—an utter distortion of the results. Many psychics are quick to advertise any tenuous connection to the more legitimate world of academia. They usually selectively report their performance or totally fabricate the results. Why do police consult psychics, then? In fact, the use of psychics in official investigations is much rarer than media coverage might suggest. (A Google News search for “police psychic” returns 16,000 results in the past 10 years.) Many police departments prohibit psychic consultations altogether. Those that allow the use of psychics often do so only when the victims’ family requests a consultation. Detectives might also call in a psychic to unnerve a suspect: If they know he’s superstitious himself, the mere mention of a psychic during questioning might cause him to confess. There are a few detectives, however, who really believe in the abilities of psychics, or at least a particular psychic. Profilers seem to have an affinity for psychics, perhaps because they feel there’s an element of mysticism about their own profession. Former FBI profiler Robert Ressler is largely responsible for the fame of psychic Noreen Renier. He claims she predicted Ronald Reagan would be shot in 1981, convincing him of her abilities. * Ressler farmed Renier out to other law enforcement agencies and arranged for her to speak at FBI headquarters.